Here’s an old addiction that I’ve nearly cured by going bankrupt. I have only spent $5 on dolls in May. Yes, I am an addict. 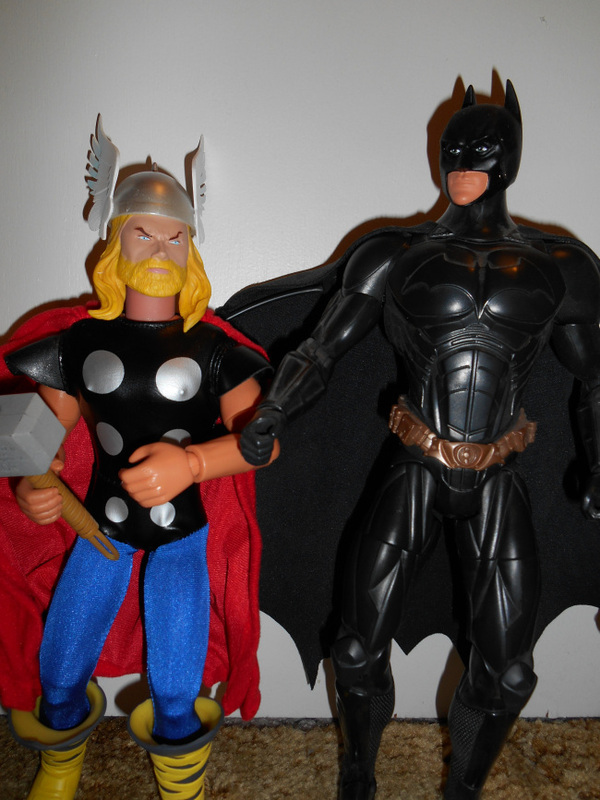 I have a mania for buying dolls… er, I mean, action figures. It began when I was nine back in 1965. Yes, G.I. Joe got me hooked. Specifically, the G.I. Joe sailor. I still have that sorry pusher. He has detached arms held on by strings and the shirt that he wears. He is play-worn and so far from mint that he’s only valuable to me. I still have the Marine dress uniform hat on him, the sole surviving piece of the second costume set I ever got for him. The first costume, given to me for the same birthday, big number nine, was the frogman uniform, long since disintegrated into black rubber pulp.